Dr. Reynardo Adorable offers his patients in the Carrollton, Texas area a variety of effective treatment options for the relief of back pain. The doctor encourages patients to visit Advanced Wellness and Rehab Center if they’re experiencing any type of joint or back pain. Can custom orthotics for the feet reduce back pain? A person's gait, or how they walk, is often dependent on how well balanced the lower half of their body is. If a person has structural abnormalities that cause their gait to be out of balance, the resulting effect can cause lower back and hip pain. Custom orthotics can help re-establish balance in how the feet hit the ground. Customized orthotics are developed according to each patient's unique foot pattern. The orthotic will offer structural support to the foot exactly where it’s needed most. This takes the stress off of the rest of the lower body so it no longer has to compensate for any type of imbalance. How do chiropractic adjustments address back pain? The spinal column and musculoskeletal structure of the back support over 2/3rds of the body's weight. Any type of imbalance in the upper portion of the body can cause pain and discomfort that radiates to other areas of the body. Chiropractic adjustments work by helping the body retain that delicate balance. When combined with massage therapy or physical therapy, the strengthening of the muscles in the area offers support to the skeletal structure and acts as a stabilizer, allowing the back to function properly and reduce the risk of potential injury. Regular chiropractic adjustments will help maintain proper balance in the back despite the regular stress and strain it receives on a daily basis. Why is body balance so important when dealing with back pain? The body is made up of two sides. Even though each side is slightly different, the musculoskeletal structure of the body is designed to accommodate for small fluctuations and abnormalities. Maintaining the delicate body balance is what reduces the risk of injury and allows the body to function efficiently. Chiropractic care works specifically to maintain that balance. It addresses both the soft tissues and the skeletal structure in such a way, that it allows both to work together as seamlessly as possible. When an injury occurs, adjustments are made to restore structural balance. Massage therapy, physical therapy, and rehabilitation can be effectively used to help regain balance within the soft tissues, strengthening them and providing stability to the area. 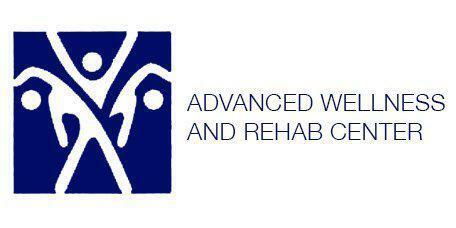 Dr. Reynardo Adorable of Advanced Wellness & Rehab Center provides Back Pain Relief services throughout the Northern Texas DFW Metroplex, including Carrollton, Plano, Frisco, Lewisville, The Colony and North Dallas. Please feel free to call us at 972-366-5771 or request an appointment online today.